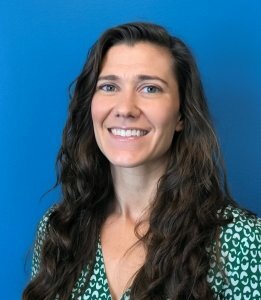 Amy Mazur is a National Certified Counselor and a Distance Credentialed Counselor based out of our Newton office. She is committed to helping individuals find their vocational path by tapping into their strengths and passions. Amy strives to create a trusting atmosphere for the client that, in turn, allows for self-acceptance and self-exploration. In addition to meeting individually with clients, Amy facilitates Job Search Strategy and Career Decision-Making Groups. Amy earned a Masters of Education with a concentration in Counseling & Consulting Psychology from Harvard University and a BA from the University of Michigan. She is a member the National Career Development Association and the Career Counselors’ Consortium. Amy’s approach to addressing the real issues facing job seekers was quoted in the book Squeezed: Why Our Families Can’t Afford America, One of TIME’s Best New Books to Read This Summer (June 2018). 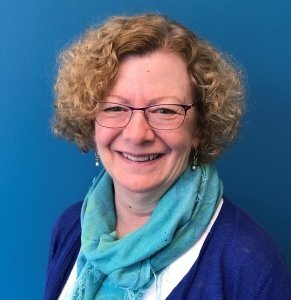 Amy Parzych is a Career Navigator assisting eligible Boston residents and dislocated workers in their pursuit of vocational training to achieve their career potential. She came to MassHire Downtown Boston after several years as a professional recruiter. She has a Master’s in Vocational Rehabilitation Counseling from Boston University and has worked with people from all walks of life to help them achieve their career objectives. Bellie Hacker is a Assistant Operations Manager extraordinaire who make no mistake is really in charge of operations at MassHire Downtown Boston. When not chasing down colleagues, she designs marketing materials, photographs our events, and delivers high-quality customer service. Previously, Bellie has worked as a graphic designer and corporate trainer and is an experienced public speaker. Carolyn Shoemaker is a Career Navigator who assists jobseekers with their job search process. Her focus is with our program in partnership with CJP for individuals experiencing financial distress. 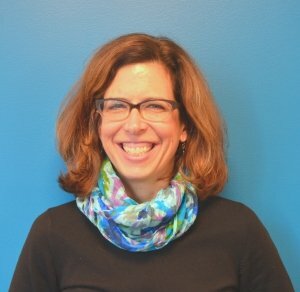 Carolyn has more than eight years’ experience in Career Centers in the Metro Boston area, as well as in outplacement services, as a Workshop Facilitator and Career Advisor. She is a Certified Professional Resume Writer. 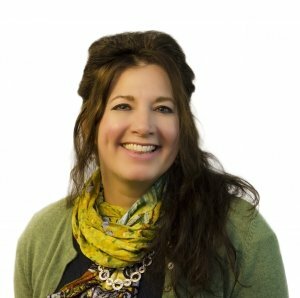 Prior to her work in career services, Carolyn has worked as a trainer, a group facilitator and as a business consultant to a wide array of businesses and nonprofit organizations. She has a Bachelor Degree from Allegheny College and a Master of Health Services Administration from the University of Pittsburgh. 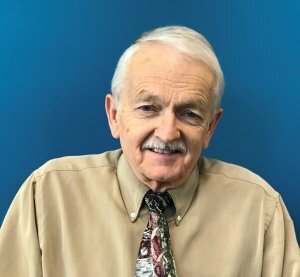 Charlie Hickey joined our Career Center as director of operations in July 2015. He came to the agency with more than a decade of experience as a manager and consultant in the field of workforce development. Prior to that, Charlie worked in the newspaper industry as a reporter, editor and executive. He also taught Journalism as an adjunct professor at Stonehill College. Charlie received a BA in Philosophy from Boston College. Christopher Feugill joined MassHire Downtown Boston Career Center in September 2015 as the Veterans Employment Counselor. A career Navy Veteran, Christopher served aboard USS George Washington (CVN-73), homeported in Norfolk, VA. Other assignments included Diego Garcia; Newfoundland, Canada; Crete, Greece; and Mississippi. During his time in the Navy, he served his fellow sailors as a leader, mentor, and Career Counselor and now serves his fellow Veterans in the Greater Boston area as a Veterans Employment Counselor. 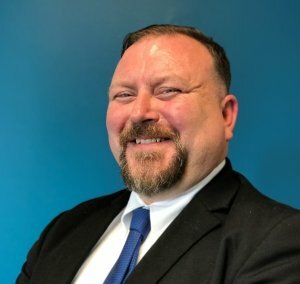 A long time participant and member of the leadership team of the Greater Boston Veterans Collaborative, Christopher promotes Veteran employment and the services of MassHire Downtown Boston to both Veteran job seekers and employers of Veterans. 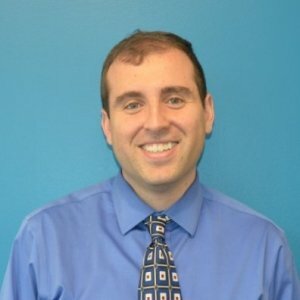 David Buck has over 10 years of experience as a career advisor/job search coach, with 2 certificates in career development. He provides a warm welcome and helps draw out each individual’s unique strengths, identify their career and job search needs, and pinpoint effective next steps for career management and job search implementation. He meets one-on-one and facilitates workshops with people from a wide variety of industries and skill levels. Previously he worked in non-profit, public and private sectors as part of a long-term focus on employment and economic issues. His education includes a Bachelor of Industrial Engineering from Cornell University, a Master of Regional (Economic) Planning from the University of North Carolina at Chapel Hill and coursework in psychology. Doreen Treacy joined our career center as VP of Career Services in November 2014. She is responsible for setting our vision and leading our career center, ensuring high-quality customer services to job seekers and cutting-edge workforce development practices to Boston area employers. Thankfully she has a talented and dedicated team of professionals to deliver on this big endeavor. 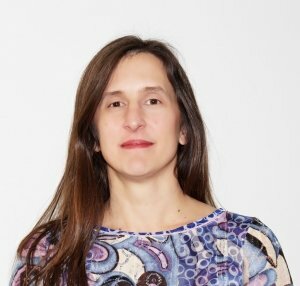 A recognized social innovator and thought leader, she brings over 20 years of professional experience and a passion for creating economic pathways for Massachusetts’ residents to her role at MassHire Downtown Boston. She is convinced that creating collaborative partnerships is the only way to turn safety nets into trampolines. She holds a BA from the University of Massachusetts-Amherst and a Masters of Divinity from Boston University. 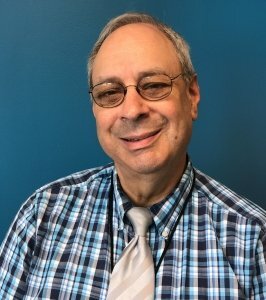 Hal Surgecoff is our Lead RESEA Specialist who excels at creating a positive customer experience whether at the Welcome Center where he serves as customers’ first point of contact with MassHire Downtown Boston, or in the resource center, where he helps customers with the job search. He also leads Welcome Sessions for new members. Hal has worked at Career Centers in Boston for over 10 years. He holds an Associate Degree in Science from Bunker Hill Community College and a certificate in Microsoft Office Skills Training Program from Operation A.B.L.E. Hal is a USAF Veteran and served in the Mass. Army National Guard, receiving Honorable Discharges from both. 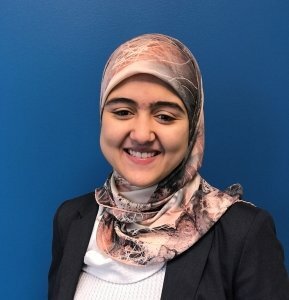 Ibtissam Daif joined MassHire Downtown Boston Career Center in November 2018 as a Business Services Associate. 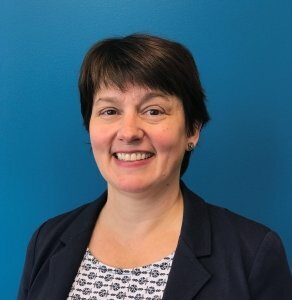 She works closely with the Business Services Manager, the Director of Healthcare Sector Initiative and the Healthcare Career Navigator to implement strategies that create and sustain powerful connections between employers and job seekers. Having earned an MBA with a concentration in strategic leadership, Ibtissam has a passion for business and entrepreneurial projects that promote social good and equity. She believes that education and healthcare are the pillars that set apart developed countries from the third world. She hopes that the experience she gains in workforce development will help her promote positive change in the world. 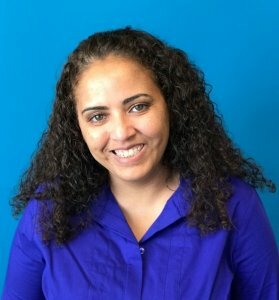 Before joining the JVS, Ibtissam worked on a population health project as a data analyst intern at East Boston Neighborhood Health Center and as an assistant office manager in the office of the president of Fisher College, where she studied. As the Economic Opportunity Initiatives Manager, Jason Pollens is the de facto financial guru for JVS customers whose sole focus is to create long term economic success for customers and clients. He oversees JVS’ free tax preparation, financial empowerment workshops, and works with staff to deploy a financial coaching framework that empowers individuals’ to achieve their financial dreams. Jason earned a dual Masters in Coexistence and Conflict and Sustainable International Development at the Heller School for Social Policy and Management at Brandeis University. He has worked in the Balkans, Honduras, Namibia, South Africa, Kenya, and Israel. Jennifer Chesnulovitch joined MassHire Downtown Boston Career Center in June 2018 as the Business Services Manager. Day to day she works closely with employers to understand the complexity of their business needs, zeroing in on workforce development. 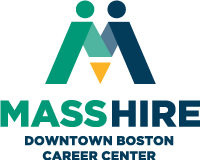 Using these insights, she helps employers tap into and leverage MassHire Downtown Boston resources including: a broad network of qualified job seekers, industry-specific job fairs and various customized services. Earning a Bachelor of the Arts from The College of New Jersey, Jennifer previously worked in marketing and advertising for eight years, before leaving the private sector to pursue a Master’s in International Relations. While studying, she discovered her passion for helping vulnerable populations’ access education and career opportunities. Jennifer completed her master’s at the Institut Barcelona d’Estudis Internacionals and worked at International Institute of New England helping immigrants and refugees secure employment before arriving to MassHire Downtown Boston. Jenny Sherman joined our Career Center in October 2017. As the Healthcare Career Navigator, Jenny focuses on helping job seekers from diverse backgrounds get great jobs in the healthcare sector. 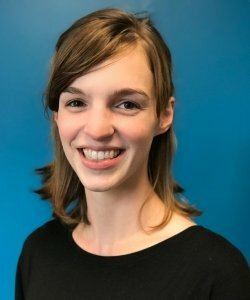 She enjoys working with job seekers to discover new possibilities for their careers paths and to build the skills to overcome job search obstacles. 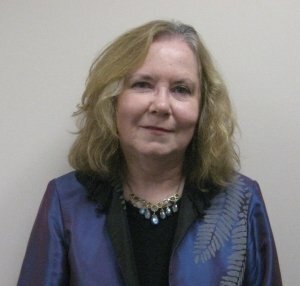 She earned her Bachelor of Arts in Cultural Anthropology from Duke University and brings her experience in the fields of oral history research, theater education, and workforce development to her current role. Outside of work, Jenny has a passion for podcasts and salsa. 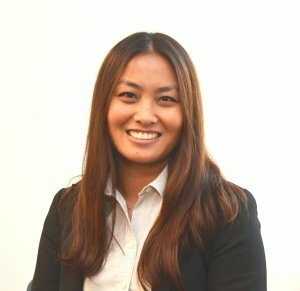 Jody Lo-Vierra is a Massachusetts Unemployment Insurance Representative serving at MassHire Downtown Boston on the 10th Floor. Since 2009, she has helped individuals file for and receive unemployment benefits. She has special expertise in working with customers using her tri-lingual skills in English, Cantonese and Mandarin She migrated from Hong Kong in 2003 with a background in customer service. 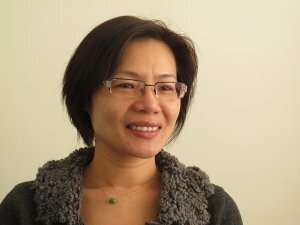 In 2008, Jody completed Accounting, Computer and English training at the Asian American Civic Association and then went to work as a Patient Services Coordinator at Tufts Medical Center, Boston. Johnny Kevin Pham is a Massachusetts Unemployment Insurance Representative serving at MassHire Downtown Boston on the 10th Floor. 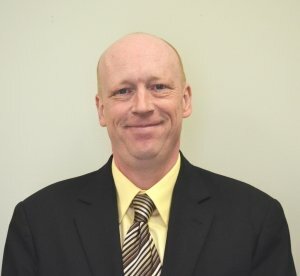 He brings over 22 years of experience serving customers with unemployment insurance claims. He earned a B.S. Degree in International Management from University of Massachusetts and Master’s degree in Public Administration from Suffolk University, Boston Massachusetts. Before emigrating to the U.S. from Vietnam, Johnny Kevin worked in Indonesia, the Philippines, and Vietnam with refugees, orphans, and in community development. 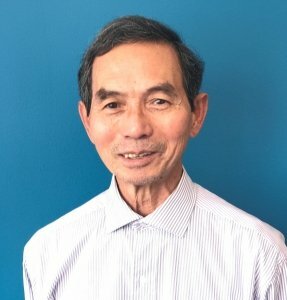 He has received numerous awards for these services, including the “Honorable Recognition of Humanity” award from the local Vietnamese government. Johnny Kevin is fluent in Vietnamese. 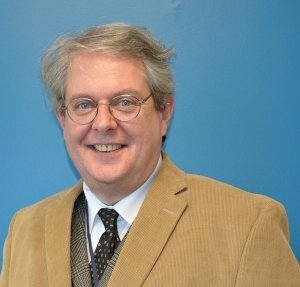 In his spare time, Johnny Kevin works as a counselor for the Boston Public Health Commission assisting homeless individuals. Judy Bottkol is a Career Navigator who helps job seekers create a job search plan, write a market-ready resume, and prepare for interviews. Judy does one-on-one coaching and workshop facilitation and development. 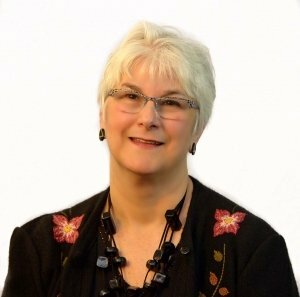 Judy has over 25 years’ experience in HR with Fortune 500 companies in the consumer products, hospitality, and financial services industries and brings her insider knowledge to her clients every day. Judy earned a B.A. from Boston College in Business Administration. 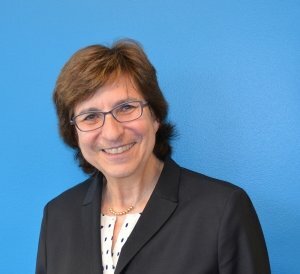 Judy Sacks is the Senior Director of Professional and Jewish Community Services, ensuring high quality and customer service in the provision of professional career services. In her years at JVS, Judy has developed many community partnerships and has received awards for her contributions to both the Jewish communal and refugee resettlement fields, including the International Association of JVS’ Program Award for her team’s quick recession response program in partnership with Combined Jewish Philanthropies. 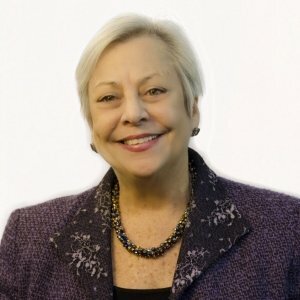 Judy staffs the JVS Jewish Services Committee and she is an active member of the CJP’s Boston-Haifa Connection, where she chaired the employment subcommittee of the Ethiopian Jewry Committee. She has a BA from Boston University and is a licensed social worker. Kevin Beltrami is a career center legend who specializes in working with ex-offenders and the homeless populations. He helps individuals find transitional employment, permanent employment, training, and educational opportunities through workshops and one-on-one coaching. Kevin has been awarded the Boston Private Industry Council Achiever Award and the JVS All-Star Award twice. He has collaborated with SPAN, Pine Street Inn/Impact, Community Works Services, and Project Place to ensure his clients get what they need to succeed. Lidi Chea joined our career center in 2017. In her dual role, Lidi assists job seekers in various aspects of job search, as well as implementing marketing strategies and communications on behalf of the career center. Prior to joining us, Lidi worked in marketing in the corporate world and has more than 5 years of experience volunteering with various non-profit and community-based organizations. She received her Bachelor of Science in Marketing from the University of Massachusetts Dartmouth. Matthew Herd is the Adult Basic Education Navigator at MassHire Downtown Boston Career Center. He helps clients access adult basic education (ABE) resources, including English for Speakers of Other Languages (ESOL) and/or high school equivalency programs. Matt also works with ABE/ESOL programs throughout Boston to familiarize them with the many workshops, programs and services offered by MassHire. Matt graduated from the University of Massachusetts-Amherst with a Bachelor of Arts degree in Spanish and Literature. After graduating, he spent two years in South America, teaching English and traveling. 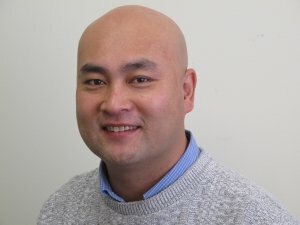 He continues to teach English part-time in the Boston area. Outside of work, Matt can be found cooking, catching Pokémon, reading a Marvel comic or brushing up on his Spanish. Rafaelina Ramirez Lina, as she likes to be called, has more than 10 years of experience in the workforce development field. She enjoys working the with underserved, low-income job seekers and helping them achieve their employment goals. She graduated from the University Massachusetts Boston with a bachelor of arts degree in Human Services. Louis Kaplan is a Financial Empowerment Coach and joined JVS in November 2016. Louis works with clients to improve the financial situations of his clients by increasing their awareness and access to options and resources and helping them design a roadmap to attain their goals. Previous to joining JVS Louis spent 4 years working with low-income seniors as a Nutrition Educator/Outreach Specialist with a Boston area social service organization. Louis made a career change into social services after spending 17 years in the advertising industry. Louis speaks English, Spanish, and French and has experience conducting business in Central and South America. He holds a B.A. from Brandeis University in Latin American Studies. Shiu Yip Cheung is a Career Navigator with more than 10 years’ experience working in employment training services. He thrives on helping eligible low-income Boston residents or dislocated workers access the training they need to get back to work on satisfying career paths. He has experience working with culturally, economically and racially diverse clients. Previously, Shiu Yip worked in High School Management and as Principal of a college in Hong Kong. Shiu Yip earned a BA in History & Political Science and a Certificate in Education in Teaching & School Management from the University of Hong Kong which is equivalent to a M. Ed. in the US. Shiu Yip was awarded JVS Super Star in 2013 in recognition of his performance. He speaks English, Cantonese and Mandarin. Stacy Fatale is a Career Navigator with our partnership program with Jewish Family Service of Metrowest, Ready for Success. She has 10 years’ experience in Career Centers in the Greater Boston area. Stacy is a Certified Workforce Development Professional and a member of the National Association of Workforce Development Professionals. She has a Master of Arts degree in Counseling Psychology from Lesley University. Workers of diverse age, background, education, income, and occupation have all educated her on the value of improving and adding skills, and obtaining a good job. Susan Buckey joined our Career Center as the Director of Healthcare Initiative in September 2014. She meets with healthcare employers to understand the nuances of their staffing needs, educates job seekers about opportunities in healthcare and helps them market themselves effectively so that they land jobs in that industry. Prior to joining us, Susan inspired and educated audiences of all ages. She helped Boston area residents find pathways into the life science industry via training and networking events, led national outreach campaigns for PBS television programs produced by WGBH/Boston and taught fourth grade. Her focus for much of that time was to spark people’s curiosity – particularly towards careers in science and engineering. In 2014, Susan was selected to participate in the Aspen Institute’s Sector Skills Academy, a professional development series for workforce professionals focusing on increasing opportunities in a particular sector or industry. Vincent brings over 20 years’ experience to his role as a Career Navigator at our Career Center. His specialty is assisting customers in need of training to reach their career goals. 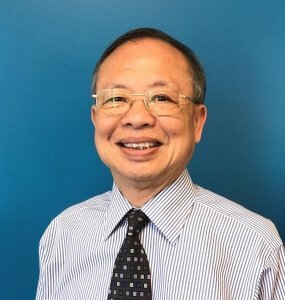 He offers career counseling and advice in four languages (Mandarin, Cantonese and Vietnamese and English) making him an indispensable member of our team. He is known for his customer service and for his desire to consistently improve as well as his ability to ferret out alternative ways in which to cater to his client’s needs. 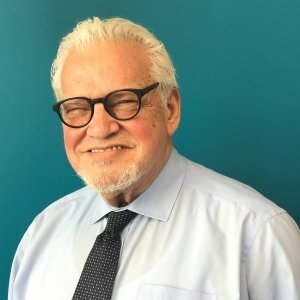 Vincent was educated at the University of Saigon, the Northeastern Institute of Industrial Technology where he secured a certificate of electronic technology, and is a certified medical interpreter and member of Massachusetts Medical Interpreter Association. Wendy Gelberg is a Lead Career Navigator who provides one-on-one coaching, writes resumes, and facilitates job search workshops to help job seekers find the shortest distance between now and their next job. She has worked with clients between the ages of 16 and 83 (and, yes, the 83-year-old landed a job!) in a wide range of occupations and industries. She has a particular interest in job search skills for introverts and authored the book, The Successful Introvert: How to Enhance Your Job Search and Advance Your Career. Wendy earned a Certificate of Advanced Study (C.A.S.) from Harvard University’s Graduate School of Education, a Master’s Degree in Education from Boston University, and a Bachelor of Arts from the University of Rochester. 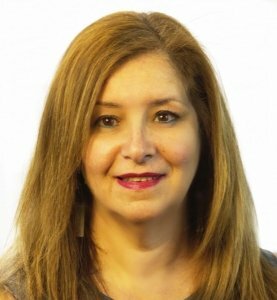 In addition, she is a Certified Professional Resume Writer, Certified Employment Interview Professional, MBTI® Certified Facilitator, and Certified International Job and Career Transition Coach. Zijada Malicbegovic is a Program Assistant at our Career Center, where she impresses customers with her extensive knowledge of programs and services at JVS and helps connect them to the services they need. Previously, Zijada was an employment specialist and job developer for Bosnian refugees. 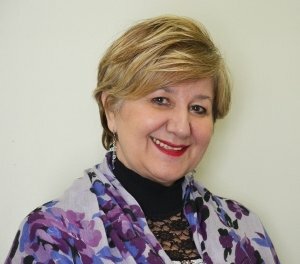 She is bilingual in Bosnian and English and serves on the Board of New England Friends of Bosnia. Zijada was awarded the JVS Superstar Award.